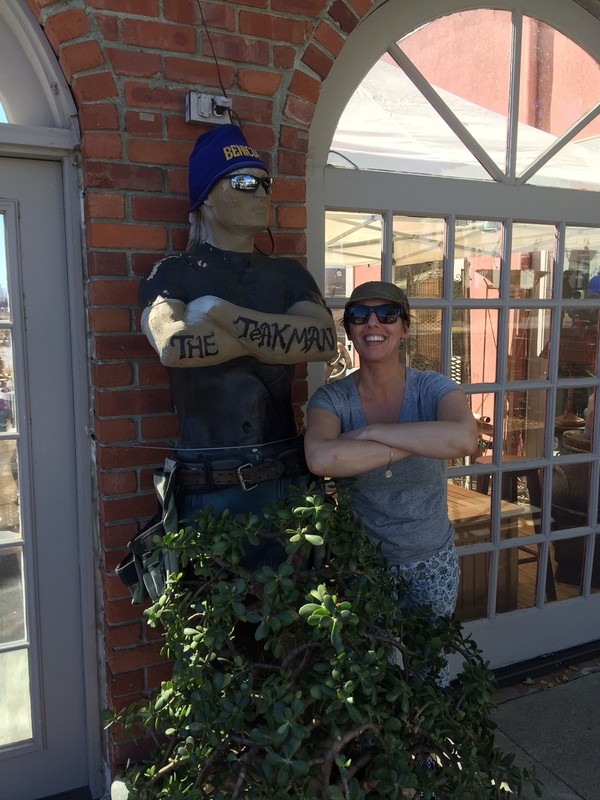 When I first moved to Napa, one of my favorite events was the Thursday evening Chef’s Market on First Street in downtown Napa. It was like a big street fair that included food vendors, live music and farmers’ produce stands. I always ran into a friend or two and had a great time! But in 2013, after 19 seasons, the Market was no more. Unfortunately, more than 75 percent of the local merchants felt that the Market had a negative impact on their business. Most of us were having so much fun at the Market that no one went into the downtown shops. While I miss it, I hope that business has improved for the local downtown store owners! 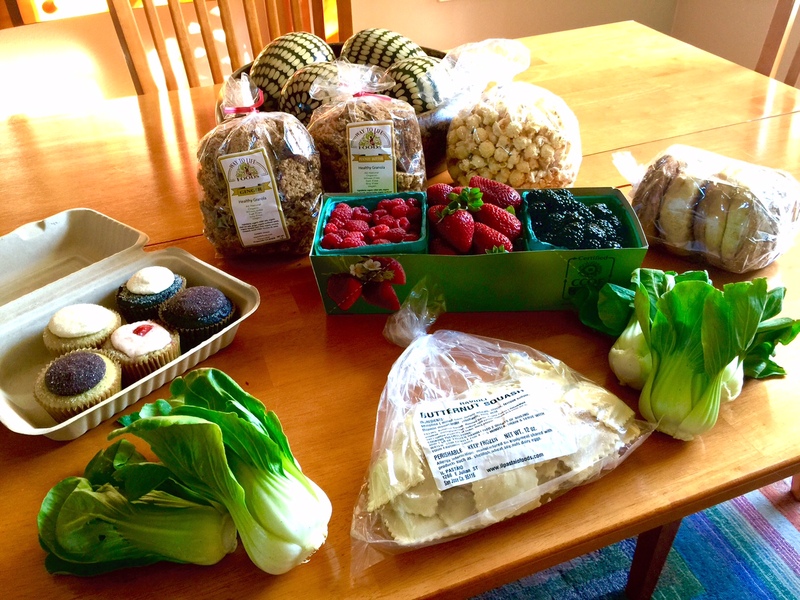 Through a friend, I recently heard about the Thursday evening Benicia Certified Farmers’ Market. When I moved to California, I almost ended up in Benicia instead of Napa so I have a soft spot in my heart for its beautiful little waterfront downtown. It has been a couple years since I’ve visited downtown Benicia so I was really excited to see how much it has grown. Not only was there the hustle and bustle of the Market but many new restaurants and shops had opened. And the evening I was there, with the sun sparkling off the water, the energy from the Market and the live music, it was truly the jewel of the Bay. Benicia is one of 40 cities in California selected to participate in the California Main Street Program. The Program is part of a national movement to improve the quality of life in America’s towns, cities and neighborhoods by reinvigorating the economic health of their historic Main Street business districts. It is grass roots and locally-driven and offers self-help to these historic areas. Benicia sought out the Main Street certification which is a prestigious designation! Each year, Main Street sponsors many community events which bring thousands of visitors to Benicia’s downtown. Something I was not aware of was how much history is contained in downtown Benicia. In just over a mile, downtown Benicia offers over 30 historical points of interest that include the restored State Capitol. Before the State Capitol moved to Sacramento, it was located in Benicia from 1853-1854. But the only thing that was on my mind that night was…you guessed it – food! 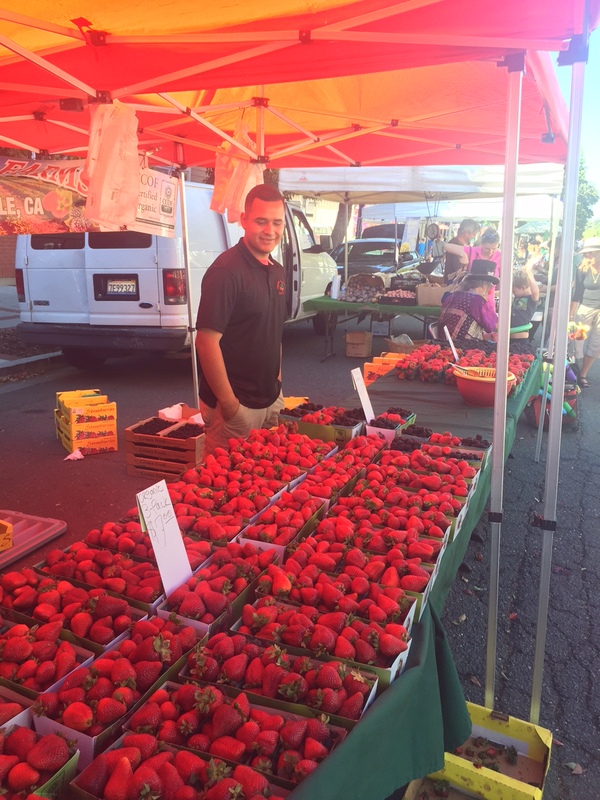 The Benicia Farmers Market has been certified by the State of California to ensure that the produce being sold at the market is grown in California by local farmers. 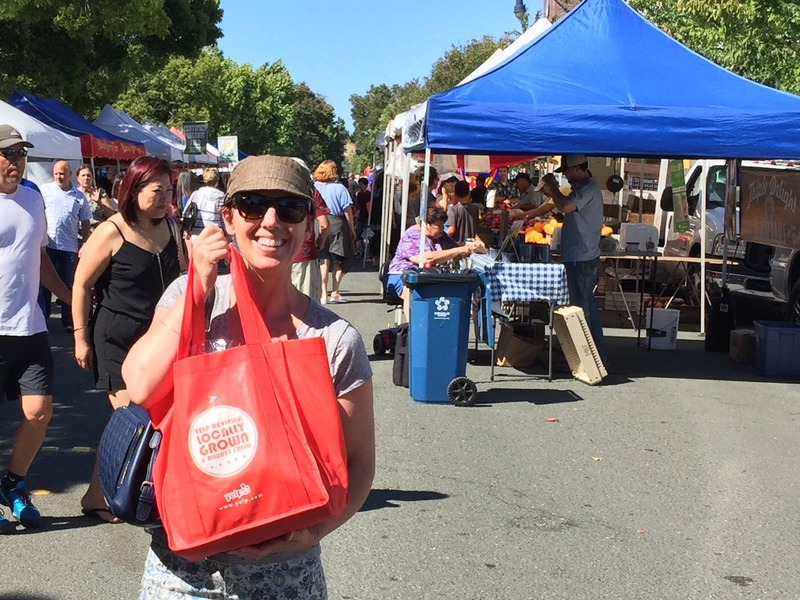 By supporting a Certified Farmers Market like the one in Benicia, it allows California farmers to effectively cut out the middleman. By not having to pay for packaging, shipping and other costs, it saves the farmers money which in turn is reflected in what we pay. And getting a batch of fresh berries that only traveled 20 miles vs. 2,000 miles is so much better for the berries and the planet! I have to admit that the big draw for me had nothing to do with saving the planet or helping local farmers (but I am glad that I did both!) but because I had heard through the grapevine of a local Benicia bakery called fox and fawn bakehouse. Fox and fawn bakehouse is the creation of Tara Allen. Her ingredients are organic, fair trade and vegan – she’ll even bake them gluten free if you ask. She measures, mixes and pours all of her small batches by hand. And quite frankly, I could taste that in every single bite! I’ve been noticing over the last couple of years that local bakeries who don’t specialize in vegan baking, seem to be ordering their “freshly baked” vegan cupcakes from a manufacturer. Once they arrive, they just thaw them out and sell them like they were baked that morning. They not only are all beginning to have the same over processed flavor but they are also the size of my head! 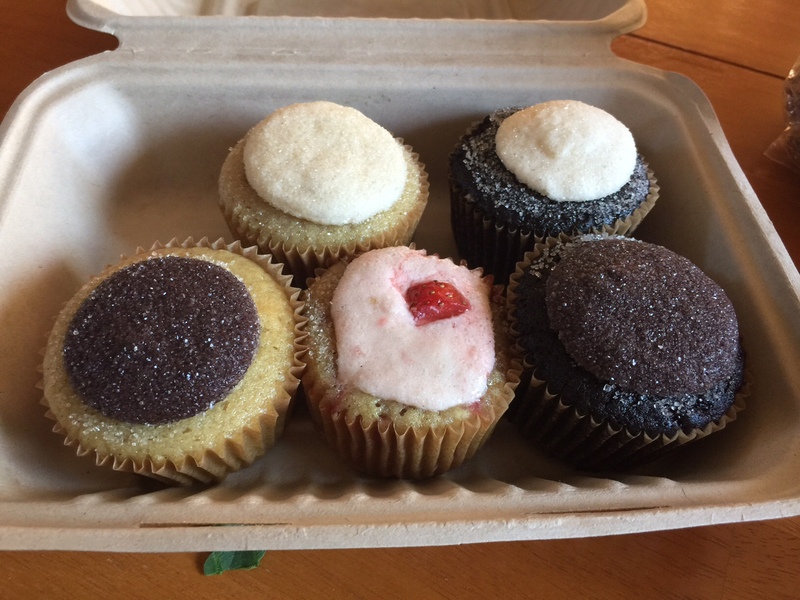 It was so wonderful to see normal sized cupcakes that were clearly baked with love and care. Another lovely surprise was how each cupcake was dipped in sugar before it was frosted. What a brilliant and delicious idea! Tara with fox and fawn bakehouse displaying her cupcakes. My next stop was right next door – Way to Life Foods. Way to Life Foods offers homemade vegan granola and cinnamon rolls that easily compete with Berkeley’s famous Cinnaholic. They offered a tasting of each of the granolas AND even the cinnamon rolls. After sampling a couple of the granolas, I left with the ginger – hot, explosive and mind-blowingly delicious and the smooth, creamy tasting peanut butter granola. And, of course, a batch of the homemade cinnamon rolls. Delicious granola and much more! As I wandered through the Market, I noticed Il Pastaio Foods’ sandwich-board sign. It described the different pastas they offer and in big, bold letters were the words Vegan! There were two vegan options of their fresh, uncooked pasta –I chose the Butternut Squash Ravioli. The ravioli contained six simple ingredients that we all have in our own kitchens – whole wheat flour, water, butternut squash, garlic, potato flakes, basil and salt & pepper. When I got home that night, I made a batch of the pasta, and using a recipe they provided, topped it with a vegan brown butter and sage sauce. Absolutely delicious! My next mission was to find organic berries and some vegetables. While most of the produce available was conventionally grown, I did find two farmers who offered certified organic produce. After sampling the sweet, ripe strawberries, I chose the triple threat – a tray of organic strawberries, raspberries and blackberries. Delicious to eat on their own, in my oatmeal and in my organic smoothies. Even my dogs, Buttercup and Violet, raved about them. Yum! The batch of organic bok choy that I found next was only $2 and gave me enough to make a tofu curry and a morning smoothie. Swag bag getting very heavy! So many organic strawberries! Oh joy! By this time, I had filled my big Yelp canvas shopping bag full of swag. I wandered down to the Carquinez Strait to enjoy the gorgeous view and hang out with the red shouldered black birds, pigeons and seagulls! What a successful evening. 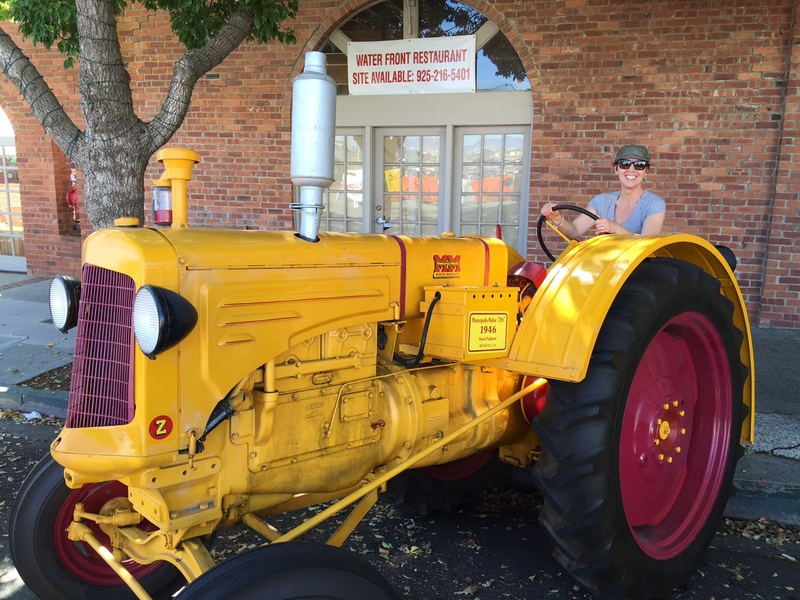 By visiting beautiful Benicia, I found loads of fresh, delicious food, supported our local farmers and businesses and had a wonderful time doing it! And as I was wandering back to my car, I scored a big bag of salty, sweet Kettle corn for the drive home. I do not know how I have never had this delectable bag of joy before but I am now a big fan! 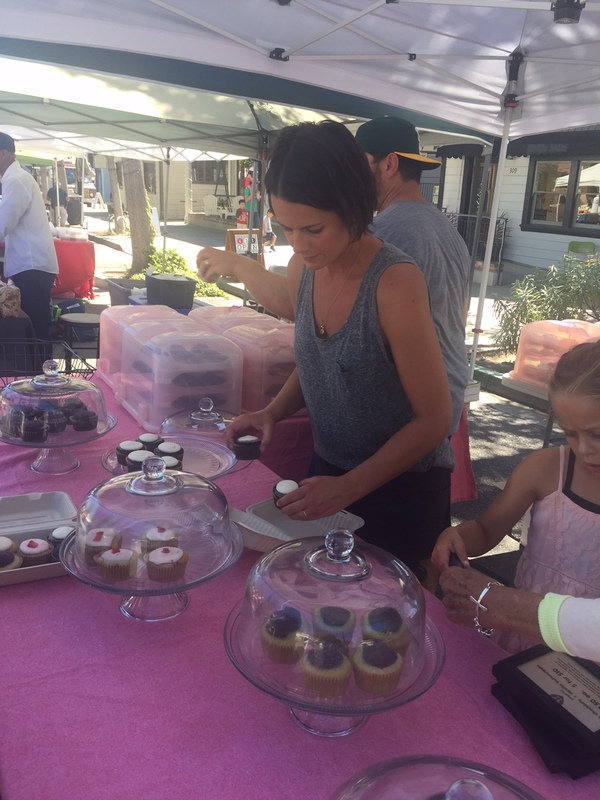 The Benicia Certified Farmer’s Market opened its 23rd season on Thursday, April 30th and runs until October 29th. The Market is located along First Street between B and D streets. It offers organic and conventionally grown California produce, dozens of local food vendors, live music and a lovely energy. 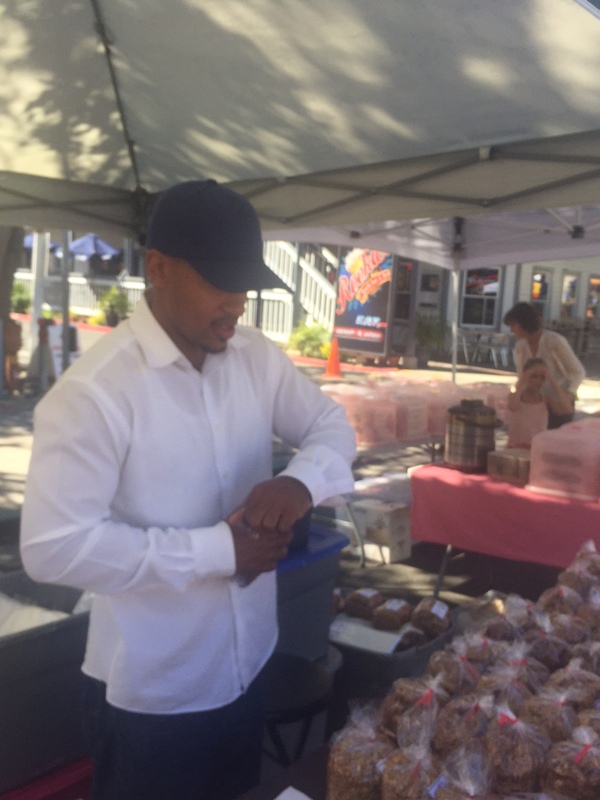 It is one of my favorite Farmer’s Markets so I hope to see you there soon. And as always my friends…eat, drink and be vegan! Heritage Eats – Creating Custom Vegan Eats and Good Vibes! Topaz Late Harvest Wine - Noble Rot Never Tasted So Good!